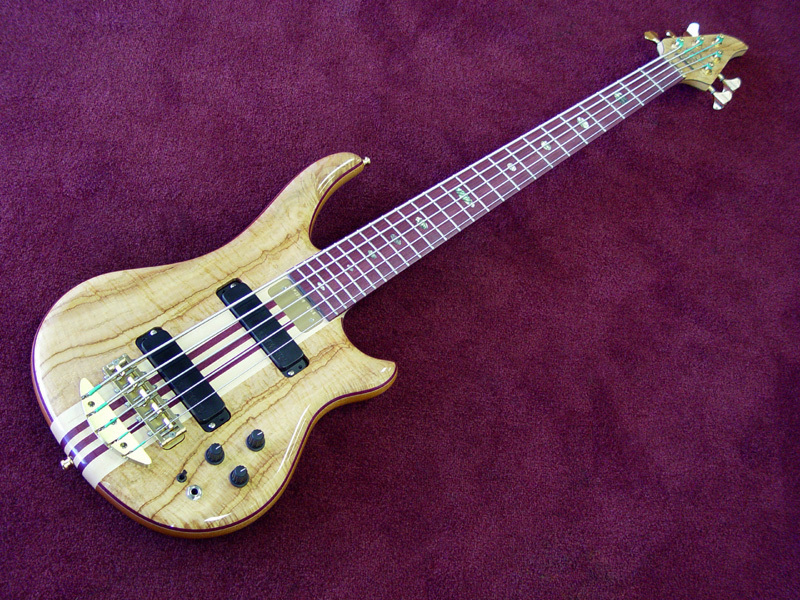 A most unique bass, this Essence 5-string packs a host of custom features, starting with the unusual Maple top. It's Eastern Flame Maple that terminates in teeny tiny points. It's also got some dark spalting lines and interesting color zones, with golden and pinkish hues. All in all, it's a wild piece of wood that we've held in our storage for over 20 years. We've added an upgraded 7-piece Purpleheart neck and a thick Purpleheart accent laminate under the top. You can see the little Maple pinstripe under the accent laminate in the closeup of the wood below. 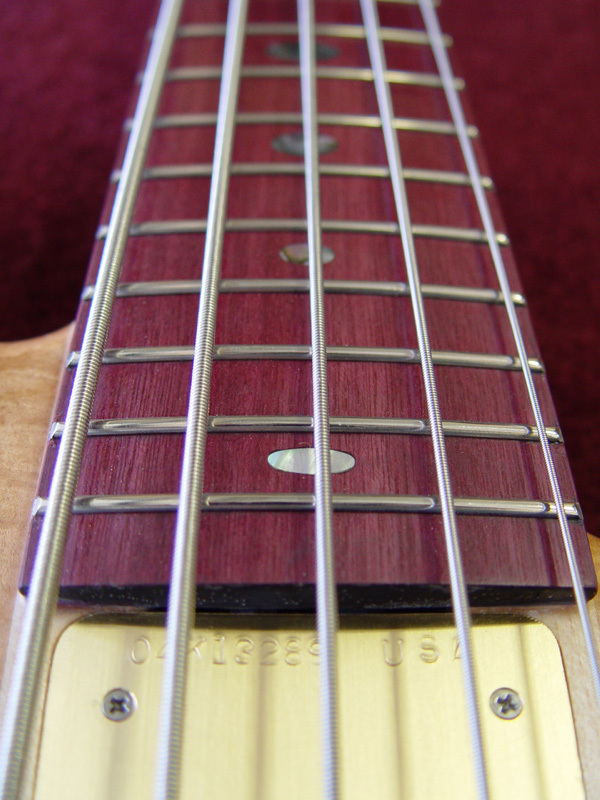 With all this Purpleheart, why not go for it on the fingerboard as well? We've done this before, but you won't find an Alembic every day with this unusual feature. 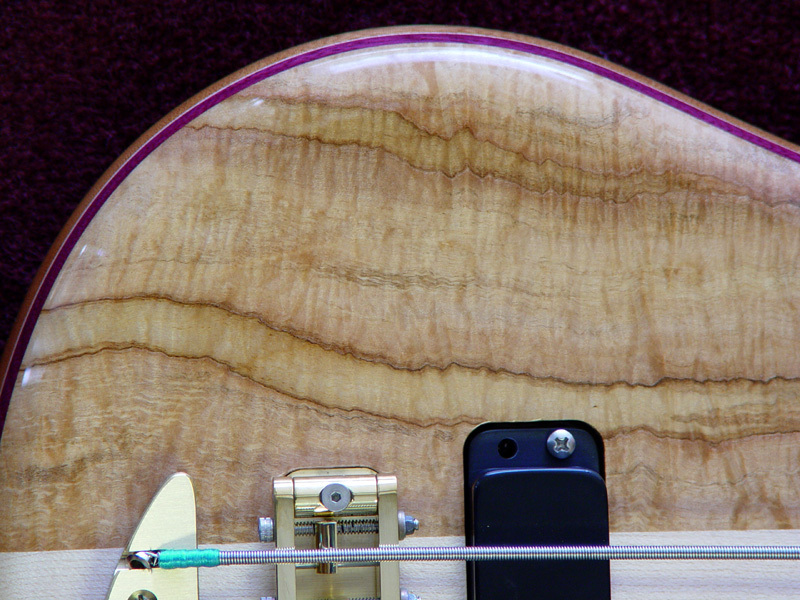 Abalone oval inlays and red side LEDs are appropriate finishing touches. 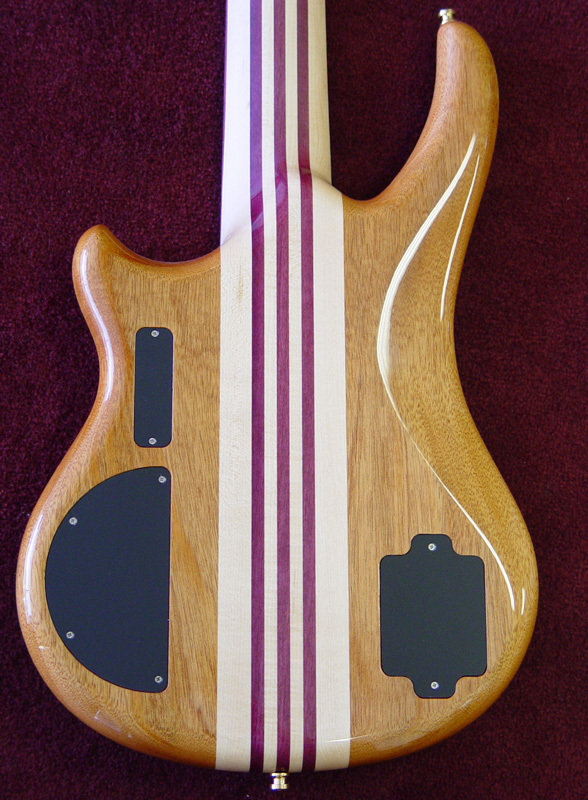 Normally you'd need to wait over three months to get a custom bass like this. If this is your dream 5-string, you don't need to wait more than transit time - Discount Music is ready to ship to you!